Christmas is absolutely the time of year to don as much sparkle as is physically possible. I don’t shy away from the shiny, metallic, sequinned and sparkly at the best of times, but in December — it goes into overload. 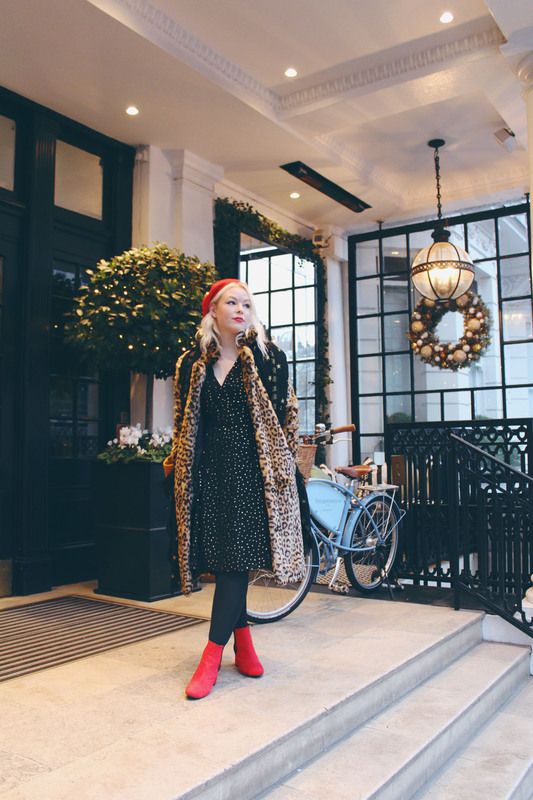 When Simply Be recently reached out and asked if I wanted to style up one of their party dresses – I instantly picked out this glittery number from Oasis to see me through the festive season. With its flattering, failsafe shape, gold glitter detail and goes-with-anything black base, I knew I was set. The flecks of gold glitter decorating the entire dress feel super nostalgic, and the fabric reminds me of the many party dresses of my youth! I loved spending the day in my beautiful city of London, soaking up the Christmas atmosphere and photographing this gorgeous piece. 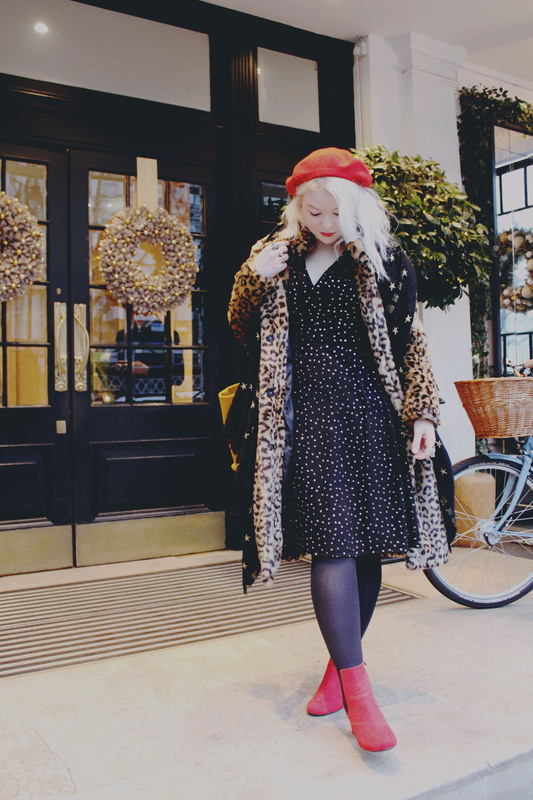 We started out at The Kensington Hotel for their Beauty and The Beast afternoon tea, and this was the perfect smart dress to enjoy a more formal afternoon tea, while retaining some festive spirit, in front of the fire, cake in hand! 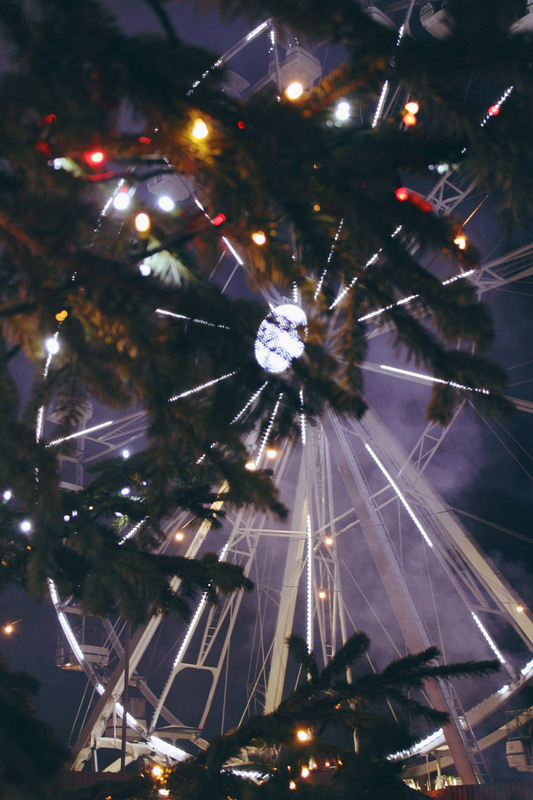 Later we headed out into the frosty air and across to Winterville on Clapham Common – a great destination for anyone who wants the Winter Wonderland vibes without all the crowds. Again, my dress saw me through a whizz around the waltzer, a trip on the crazy mouse and a game of crazy golf, as well as exploring and soaking up the Christmas ambiance. With my faux fur jacket and star scarf over the top, I was warm and toasty and yet the dress catching all the lights made it so magical. On to our next event, and Backyard Cinema’s showing of ‘The Holiday’ at Winterville. 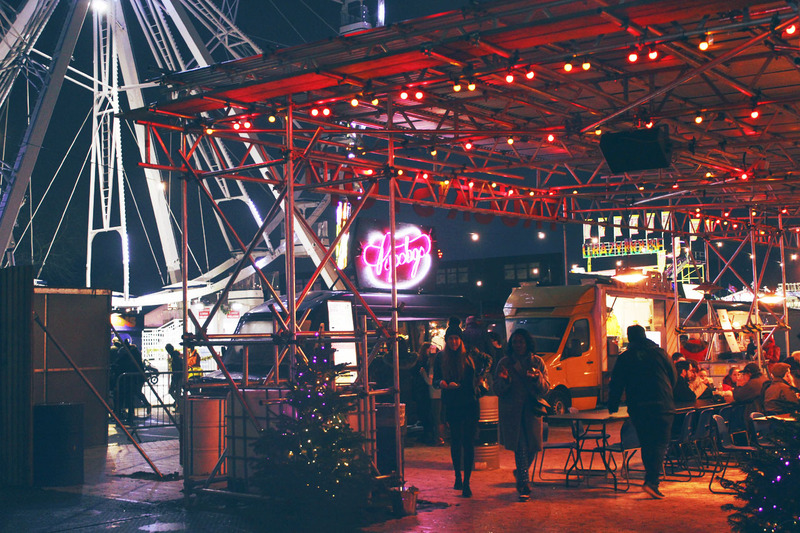 Mulled wine in hand, we entered the screening through a wardrobe, and tree-lined tunnel, strewn with fairy lights. The fairytale entranceway gave the dress another opportunity to shine — but most importantly left me comfortable enough to relax on the cinema sofas with a Gingerbreadtini and soak up the Winter Night Garden. If you’re looking for a do-all dress that won’t let you down this party season — I highly recommend giving this Oasis dress a spin. 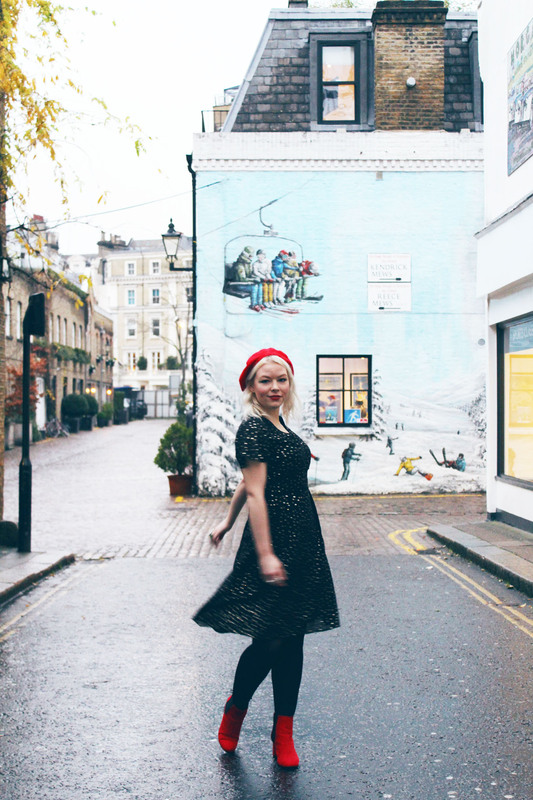 At £65, it will see you through all of the events you have in your calendar, all the way through to the new year — and as I hope I’ve demonstrated, is more versatile than you’d imagine a glittery dress may be! For a day-to-night look that is tried and tested, this number from Simply Be is a no-brainer.